WASHINGTON (NNS) — The Navy will christen the future USS Zumwalt (DDG 1000) April 12, during a ceremony at General Dynamics-Bath Iron Works shipyard in Bath, Maine. The lead ship and class are named in honor of former Chief of Naval Operations (CNO) Admiral Elmo R. “Bud” Zumwalt Jr., who served as the 19th CNO from 1970-1974. Secretary of the Navy Ray Mabus will deliver the ceremony’s principal address. In accordance with Navy tradition, the ship’s co-sponsors Ann Zumwalt and Mouzetta Zumwalt-Weathers, daughters of Zumwalt, will break a bottle of sparkling wine across the ship’s bow. Zumwalt was a veteran of World War II, as well as the Korean and Vietnam Wars. Following the World War II Battle for Leyte Gulf, he was awarded the Bronze Star with Combat “V” for his valorous actions aboard the USS Robinson. During the Vietnam War, he served as commander naval forces, Vietnam before being nominated by President Richard Nixon to become CNO in July of 1970. He is credited with implementing a series of policies intended to improve opportunities within the Navy for minorities and women during his tenure as CNO. Zumwalt died Jan. 2, 2000. During his eulogy, President Bill Clinton described Zumwalt as the “conscience” of the Navy. 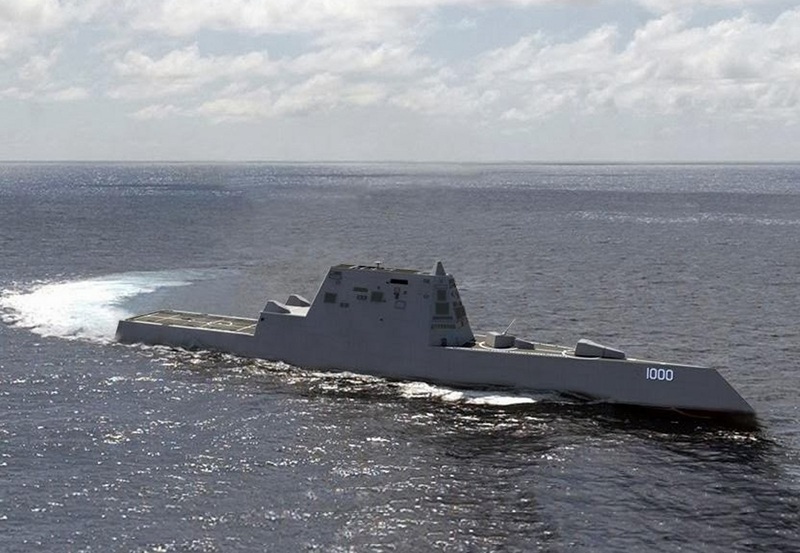 The Zumwalt-class destroyer represents the next-generation of multi-mission surface combatants and will enable access in the open ocean, littoral and ashore. The Navy has procured three Zumwalt-class destroyers. The ship includes new technologies that deliver capability now and serve as a springboard for incorporation into future ship classes. DDG 1000 is the first U.S. Navy surface combatant to employ an innovative and highly survivable Integrated Power System which will provide power to propulsion, ship’s service, and combat system loads from the same gas turbine prime movers. 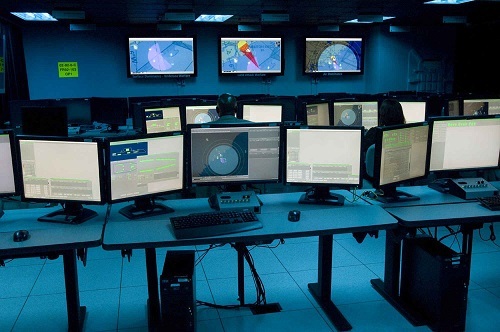 DDG 1000’s power allocation flexibility allows for potentially significant energy savings and is well-suited to enable future high energy weapons and sensors. Construction on Zumwalt commenced in February 2009, with the keel laying ceremony held in November 2011, and ship launch successfully completed in October 2013. Zumwalt is 610 feet long is with a displacement of more than 15,000 tons when fully loaded. The ship is expected to join the fleet in 2016.